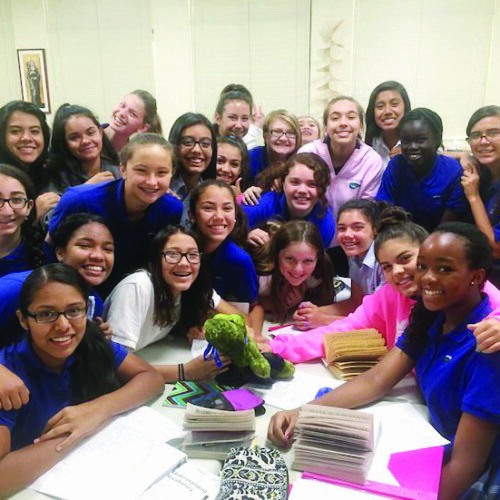 Seventy-five years ago, the first and only all women’s Catholic high school in Phoenix opened its doors to its inaugural class of 11 students. 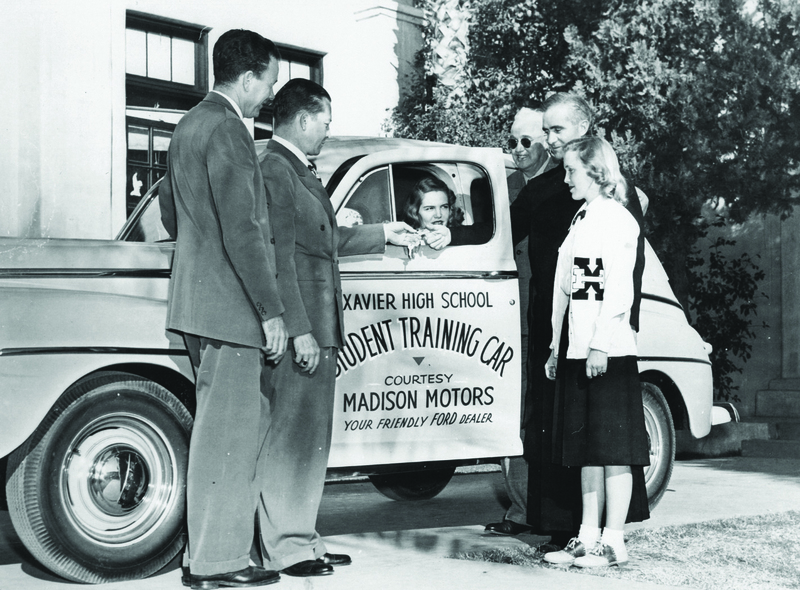 Founded in 1943 by the Jesuit fathers of St. Francis Xavier Parish and staffed by three Sisters of Charity of the Blessed Virgin Mary (BVM), the groundbreaking new Xavier High School was originally located in two classrooms at Brophy High School, a Catholic all men’s school that had been shuttered during the Great Depression due to financial hardship. 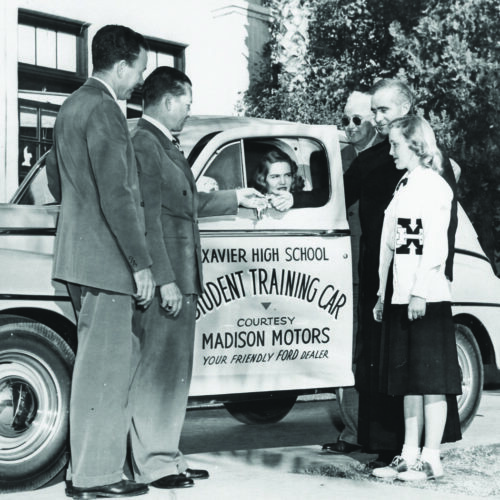 Thus began Xavier’s journey from the humblest of beginnings to the remarkable institution that it is today. 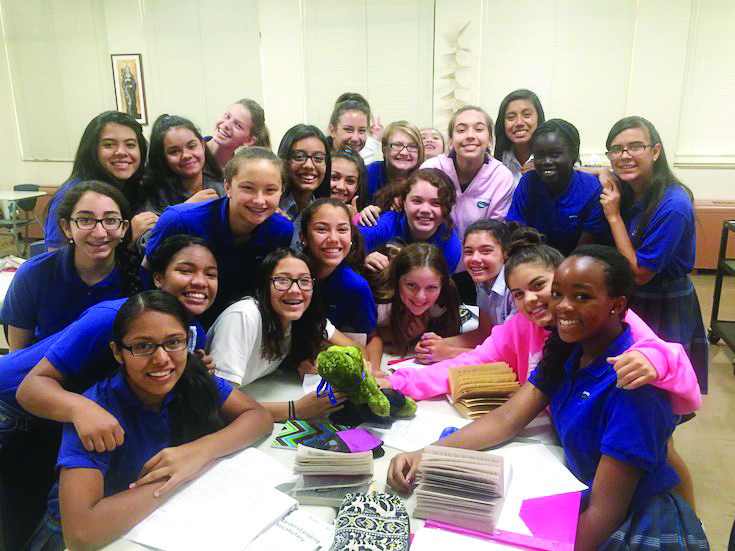 Throughout the decades, under the strong, consistent leadership and steadfast dedication of the BVM sisters, Xavier has evolved from a single class of 11 students into a nationally recognized college preparatory with a student body comprised of 1,200 young women. 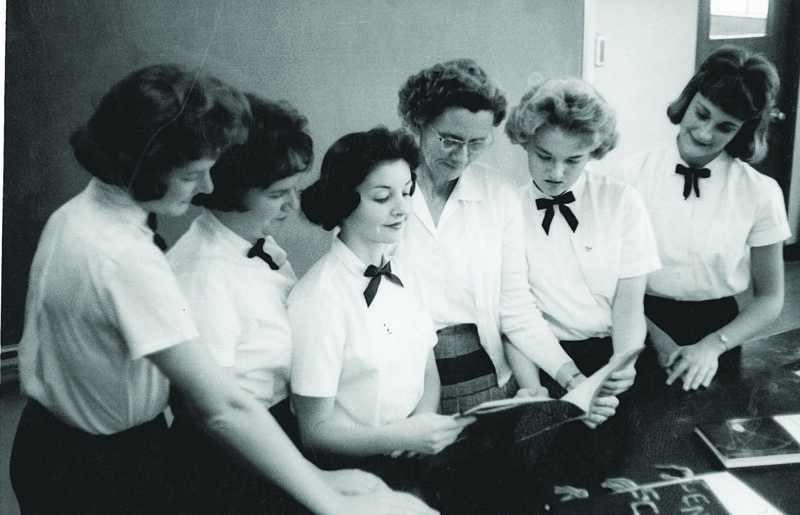 Xavier students at 1961 science fair. Photo courtesy of Xavier College Preparatory. 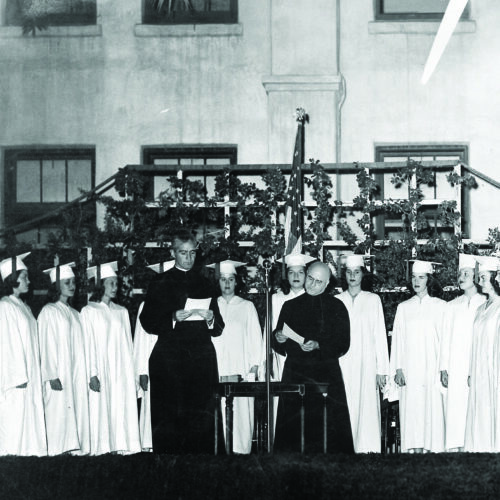 Xavier Graduation – May 1947. Photo courtesy of Xavier College Preparatory. Xavier Drivers Ed. Photo courtesy of Xavier College Preparatory. The school has built a tradition of excellence through its commitment to the Catholic faith, innovative academic curriculum, community service, leadership development, and diverse extracurricular opportunities. One hundred percent of Xavier’s graduates attend post-secondary colleges and universities, and its alumnae network of nearly 10,000 women extends across the country and throughout the world. The original faculty of three BVMs has expanded to a faculty and staff of more than 200. 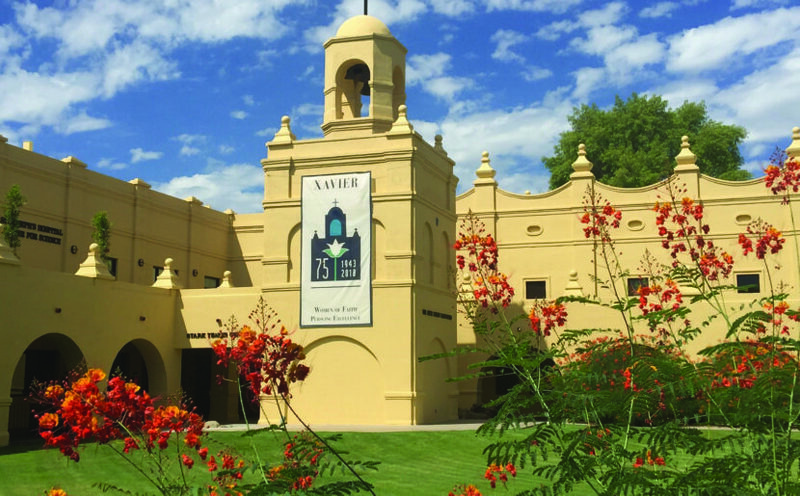 The school’s present campus, which opened in 1953 to accommodate Xavier’s burgeoning enrollment, has tripled in size from one building to 20 acres that encompass a beautiful chapel and state-of-the-art facilities. 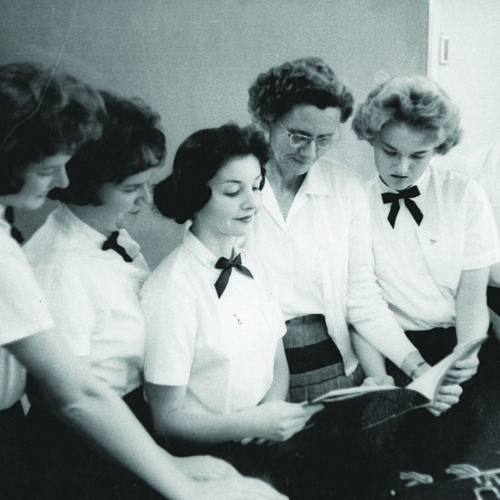 Despite its exponential growth, Xavier’s mission to educate young women of faith has never wavered. Photo courtesy of Xavier College Preparatory. This year, the school celebrated the successes of its first 75 years with a myriad of “Diamond Jubilee” tributes and events. A Traditions Day united students and alumnae at a special school assembly and an all-alumnae fete brought hundreds of Xavier graduates from the Class of 1947 through the Class of 2017 back to the school’s campus. In addition, Xavier recently established multiple Jubilee Scholarships for incoming ninth-grade students from the four local elementary schools founded by the Sisters of Charity of the Blessed Virgin Mary (St. Francis Xavier, St. Agnes, St. Matthew, and Our Lady of Mount Carmel). 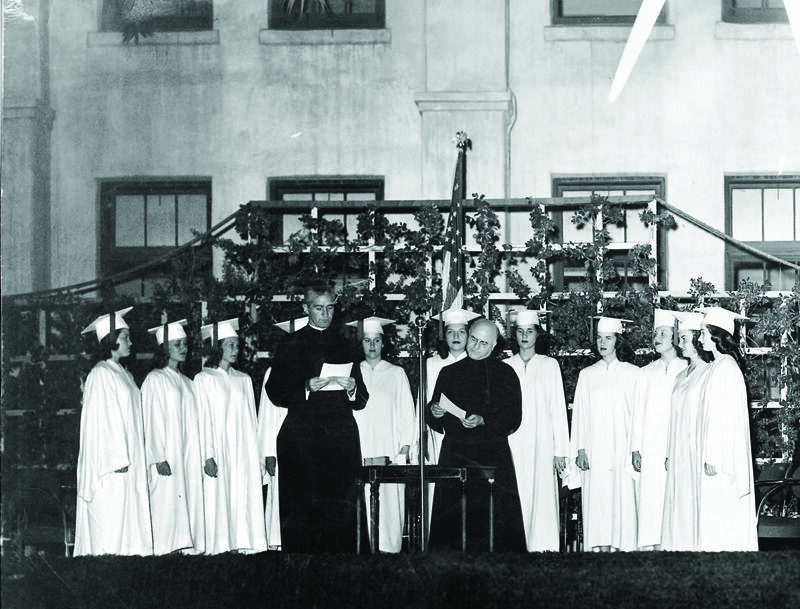 In May, approximately 300 Xavier seniors walked in the footsteps of the 11 young women who led the way, 71 years ago, from Xavier’s first-ever commencement ceremony into the world. With the Lord’s blessing, Arizona’s young women will continue to pursue excellence at Xavier for many decades to come. Sisters Joan Fitzgerald, BVM, Joanie Nuckols, BVM, and Lynn Winsor, BVM. Courtesy of Duke Photography. 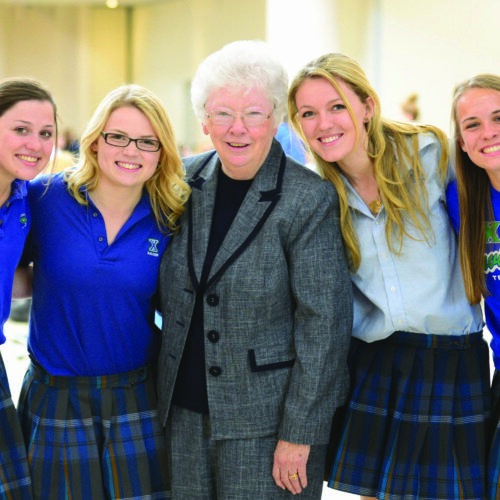 Mary Joan Fitzgerald, BVM (John Raymond) has spent 56 years at Xavier, serving as a teacher, treasurer, and principal for 42 years before being named the school’s first president in 2016. Lynn Winsor, BVM, who is a Xavier alumna, has spent 44 years as a Xavier teacher, coach, athletic director, and vice principal. 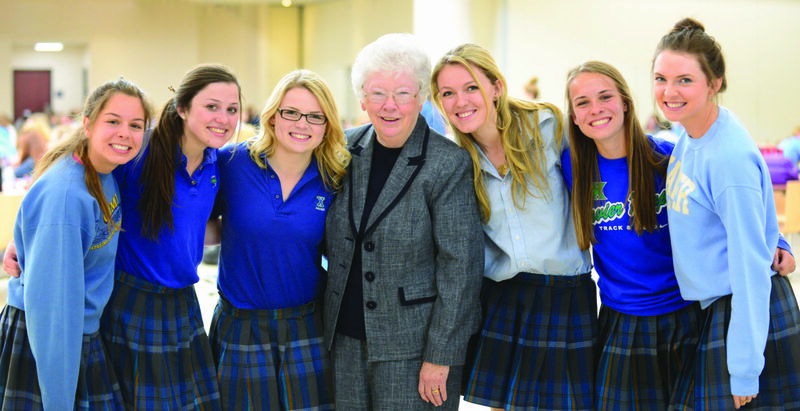 Joanie Nuckols, BVM, who was named principal in 2016, has spent 37 years at Xavier as a teacher, campus minister, vice principal, and now principal. 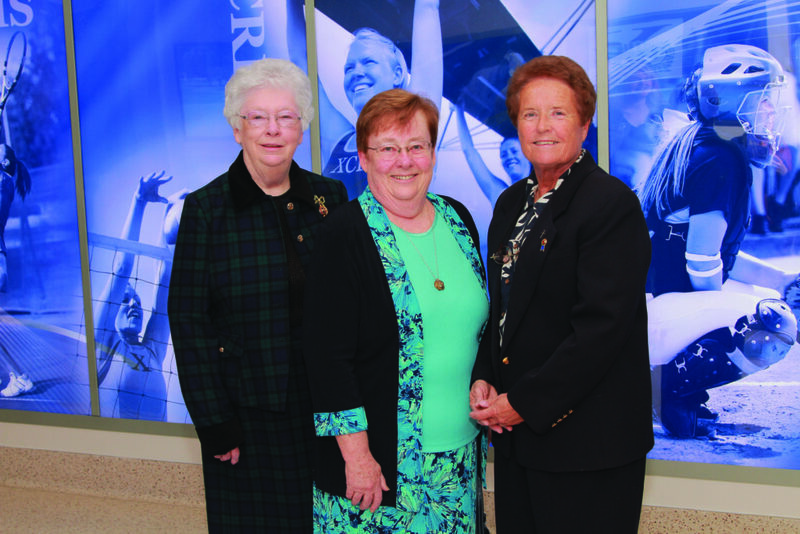 In 2012, Xavier celebrated Sister Joan’s “Golden Anniversary” at Xavier; in the fall, Sister Lynn and Sister Joanie were honored at their “Golden Jubilee” as Sisters of the Blessed Virgin Mary. About the author: Erin Naughton Alaimo is the director of marketing and public relations at Xavier College Preparatory in Phoenix. Thank you for this article, I am an alumna of Xavier, Class of 1949, and attended the Alumnae Celebration along with five of my classmates. We were the oldest graduates that were present. I am so grateful for the wonderful education that I received from the BVM,s.